The Internet is becoming increasingly more important to everyone, especially business owners. Having a company without a website is like business suicide. When making a website for a company, there are numerous reasons why it is usually a good idea to hire a web designer. A company’s website is the online identity of that company, so it is important to make their online business as presentable as their actual business. Every company wants to make a good impression on their clients, and many clients use websites as preliminary research. A web page designer can make sure that a business site gives useful information in an attractive way. They can also help entice visitors to utilise the company’s services. Web design professionals can also help companies to sell their products online, creating a whole new level of marketing and sales. They can use catchy slogans, written in a clever and eye-catching manner to convince consumers to purchase products. Interesting logos can be developed to make products look attractive. They can also help create a coherent order form for these products to make the purchasing process as simple as possible for the customer. Not only can designers contribute to building a website, but they can also help in maintaining it. As businesses grow and expand, their websites must do the same. It is critical to portray a proper image of the business on its site and not keeping the site up to date can create a disconnect between the Internet face of the company and the actual face of the business. Website designers have knowledge of online marketing and design techniques that can help keep the site fresh and current. Website designers are simply the best people to create a website because they are professionals. It is entirely possible for some DIYers to make a site themselves; however, the end product will be inevitably better in the hands of a professional. 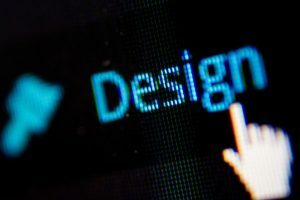 Web design professionals understand things like typography and navigation techniques which are necessary to creating a fully functional and useful website. Though anyone can make a website, when designing a site for any business, it is best to go with an actual web designer. A company website is essential to the success of any business. Hiring a web designer can help any company to have a creative and useful site for their clients and customers. With so much emphasis that is placed on the Internet nowadays, there are several reasons to hire a web designer. The best decisions people can make regarding their finances is hiring financial planners. Most of those who have availed this are those who are concerned about retirement. This will help them in their investments and also guide them to any expenses they will be dealing with college education of their kids or when they purchase a new home. Competent planners will advise you on property planning, insurance, stocks, bonds and other financial assistance. They can also aid you also on your retirement funds. Your finances should be dealt with severely. 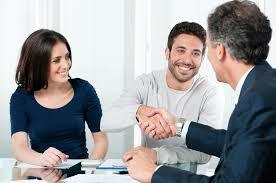 Your future has to be secure and by hiring an expert will help you to be financially prepared. 1. Research in your neighborhood on who can be reliable to help you plan your money. If there are any, find out what they can offer and make sure they are certified and licensed by the state agency. They must be skilled and have enough experience in the financial business. 2. Know if they had worked in other companies before so you can ask for references. Initial consultation must be charged for free; if otherwise, it will mean that they are more interested in profiting from your money and not in helping you. These planners must explain everything clearly especially the financial terms that they might use. 3. Investment style of the planner must be considered; it can be traditional, big risk taker or not taking any risk at all. It will be your choice on what style you will want to apply. How they will be paid can be on a commission basis or in percentage based which could place a big impact on your pocket. Be sure only to work with someone who you can trust and can assist you in gaining profit. This will help you secure a good future for you and your family so you could reach your retirement goals. To be in a financial mess can be disastrous. Your hard earned money only deserves to flourish and not to disappear. A good investment advisor can guide you to have a promising life after retiring.